Back in the saddle after last week's server swap. 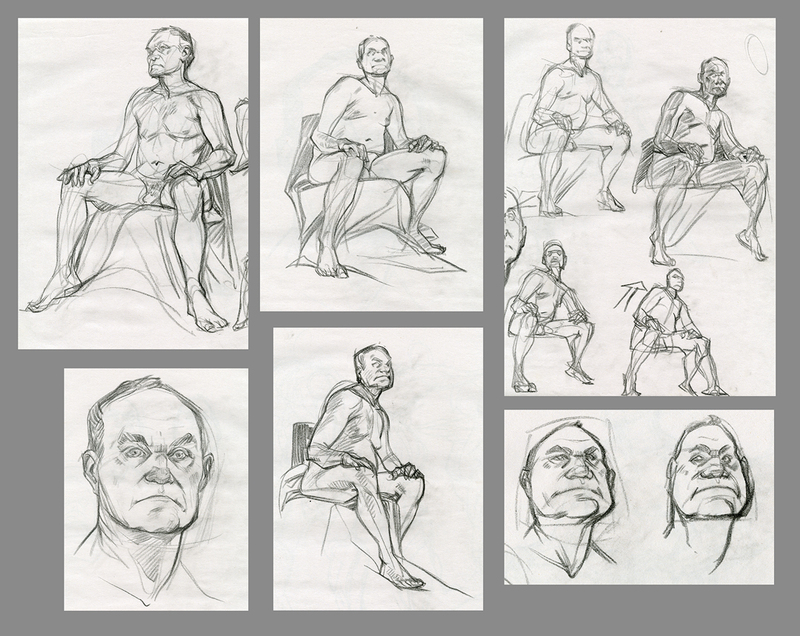 Today I sampled Austin's newest lifedrawing meetup, Naked Lunch, which focuses on shorter poses, 7 minutes max. Thanks to the kind and talented folks at Powerhouse Animation for hosting, and putting their own spin on it. Refreshing! Here's last week's Saturday morning session...ugh, some difficulties with the head and hand placement. In my defense, this was my first naked old dude! 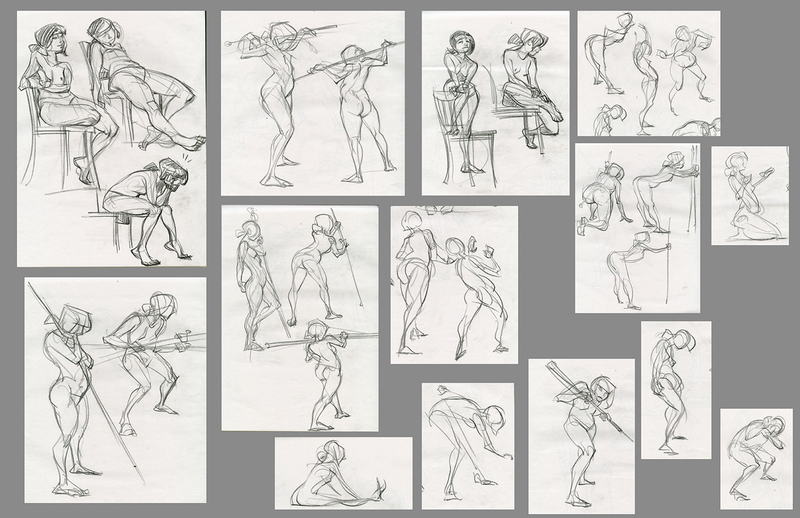 The second set has a great "melding" of your regular style and the figure drawings. Love it! You're lucky. Naked old dudes is all I seem to get.